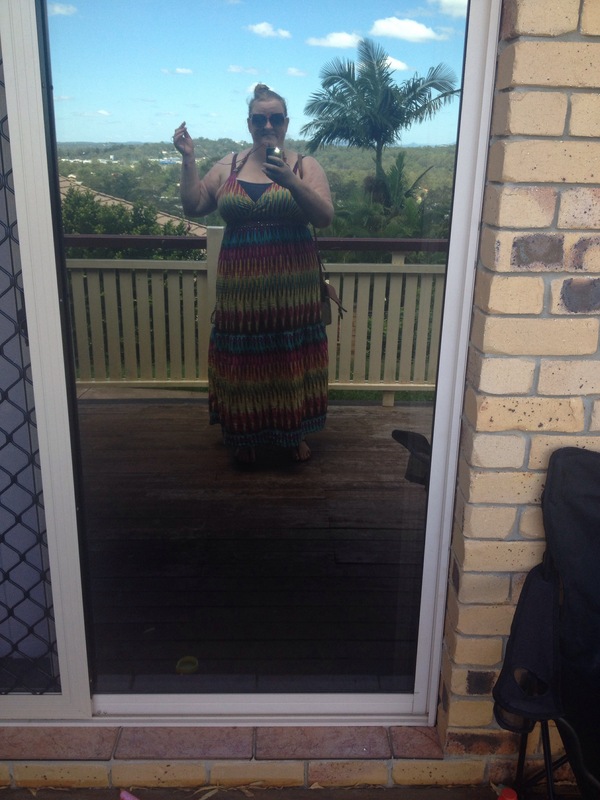 I thought since Australia was such a big influence on my new outlook that I’d do one more Brisbane outfit. I’ve had this maxi dress for a few years, but have never managed to get much wear out of it in Glasgow. It’s the sort of garment that requires sunshine, something we are sadly lacking in here. It was one of the first items in my suitcase & I was eager to wear it. I’ve always been a hippie chick meaning this multi coloured tie dyesque design is right up my street. It has some cute beaded details under the bust & on the straps, which I’m fond of. The halter neck is a gift for those if us who have been blessed in the breast department. It holds them firmly in place giving a great silhouette. The halter does also mean it is a tad too booby, but that’s easily solved by popping a vest underneath. In short this dress is very bold & funky. Just like me. 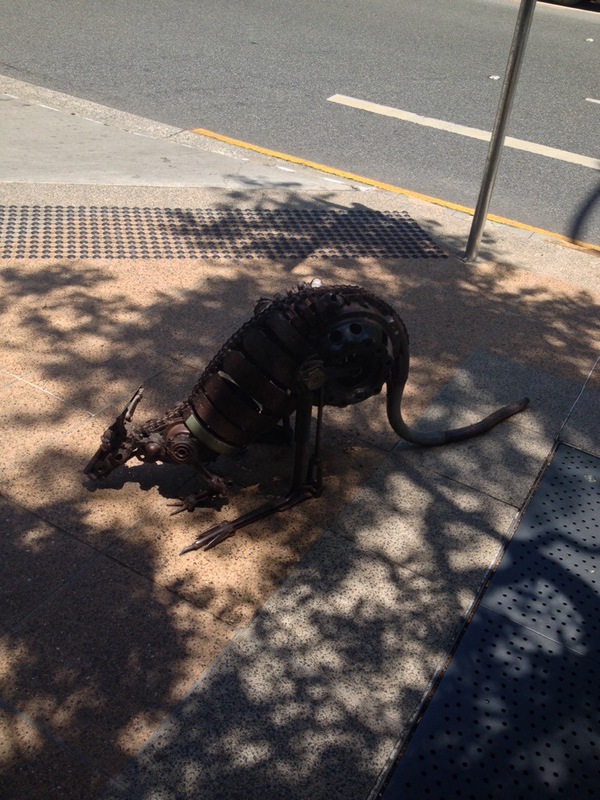 Here are some shots from Brisbane. Happy memories. 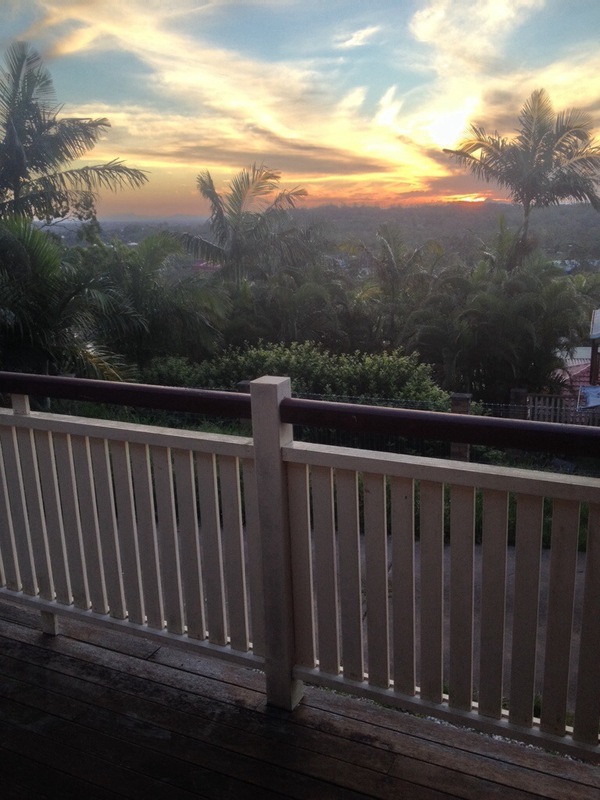 I miss the view from my brother’s balcony. 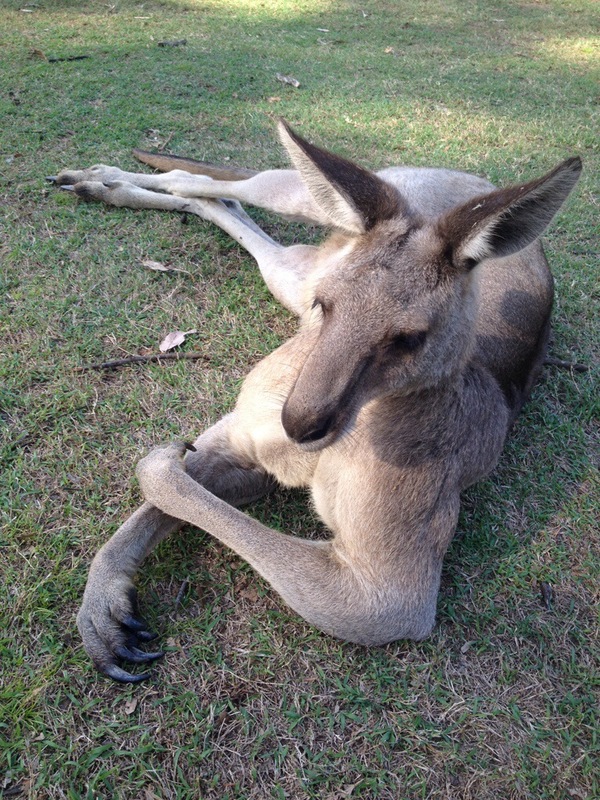 A big daddy kangaroo chilling out at Lone Pine sanctuary. 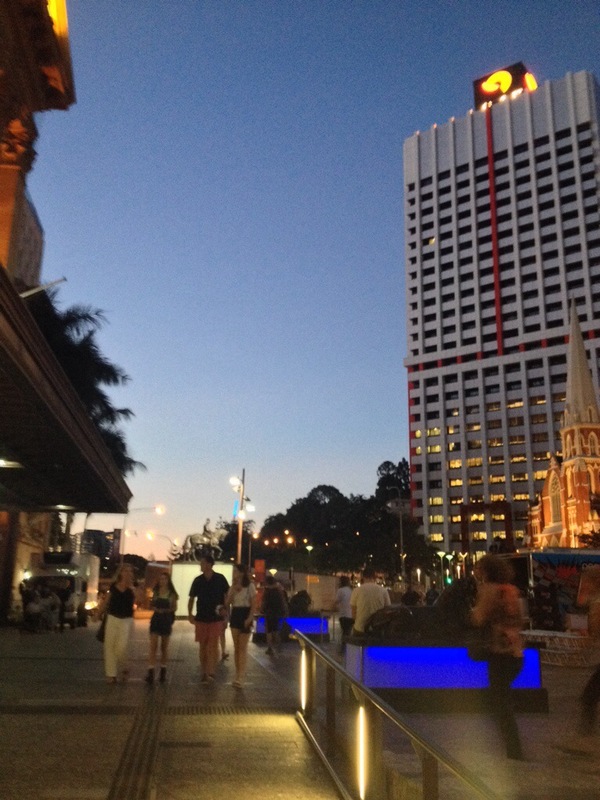 I stayed at a hotel right in the middle of the city for a few days & I used to eat sushi in this square. You can’t get a proper idea of it from this picture, but it was a gorgeous mix of old & new architecture. < Previous And in a moment he’ll want to see your underwear…. Next > I see your true colours shining through…. Thank you. I can’t wait to go back.